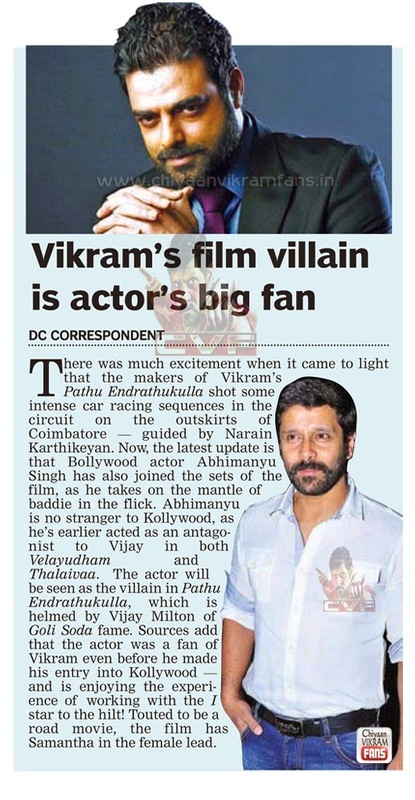 There was much excitement when it came to light that the makers of Vikram's Pathu Endrathukulla shot some intense car racing sequences in the circuit on the outskirts of Coimbatore - guided by Narain Karthikeyan. 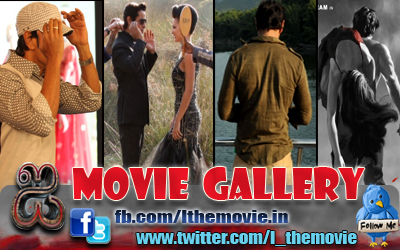 Now, the latest update is that Bollywood actor Abhimanyu Singh has also joined the sets of the film, as he takes on the mantle of baddie in the flick. Abhimanyu is no stranger to Kollywood, as he's earlier acted as an antagonist to Vijay in both Velayudham and Thalaivaa. The actor will be seen as the villain in Pathu Endrathukulla, which is helmed by Vijay Milton of Goli soda fame. Sources add that the actor was a fan of Vikram even before he made his entry into Kollywood - and is enjoying the experience of working with the I star to hilt! Touted to be a road movie, the film has Samantha in the female lead.